No one likes being without their trusted electronics. iBroken Canada has experienced staff and a massive inventory waiting to be of service to you. Some of you have careers and lives that are contingent on reliable iPhones & iPads. When those devices fail it is absolutely crucial that you can trust in your iPhone & iPad repair shop. That is where iBroken Canada stands out. We live in that place. 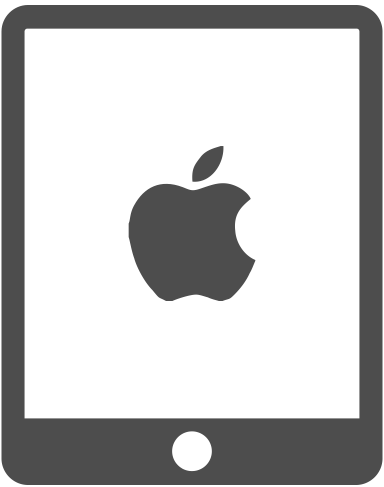 In today’s fast-paced business environment, everyone depends on their iPad or iPhone to run in a reliable and efficient way. Therefore, maintaining your iPhone or iPad, keeping it up-to-date and running efficiently is important. 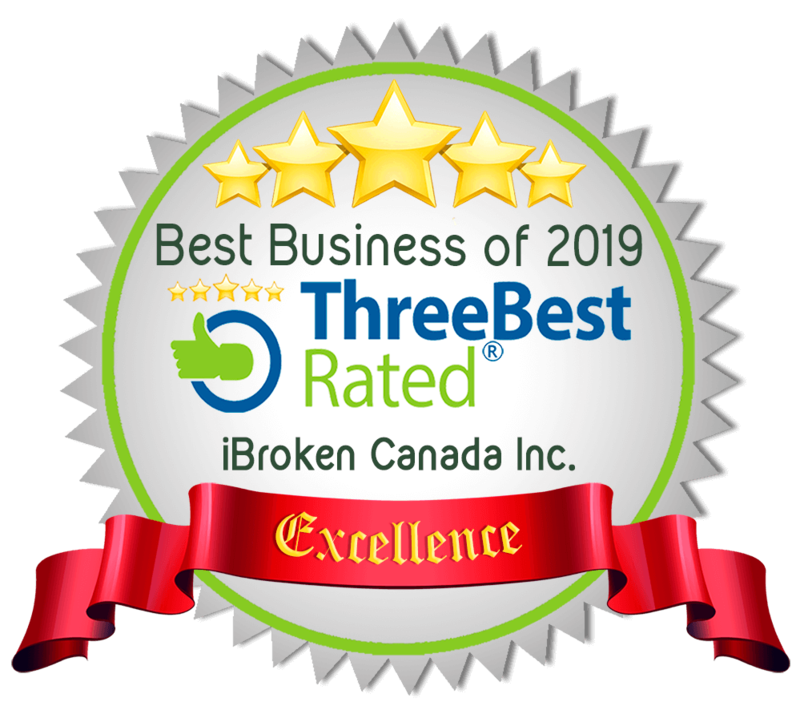 iBroken Canada offers the effective and professional repairs for iPad Screen repairs & iPhone Screen, Battery, Camera, Charging Port, Ear Speaker and much more! We have a commitment to doing excellent quality work. 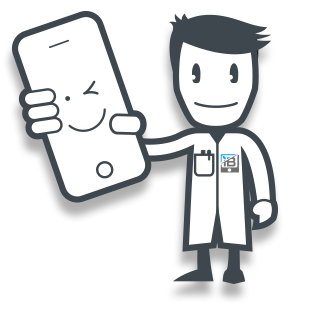 We thoroughly test your device before during and after each repair. We also perform a full set of tests on the new screen or other part before we install it to avoid delays and functionality issues. Our professional, experienced and friendly staff are experts in iPhone repairs in Calgary. You can book an appointment for today on this website and save time or if you can’t commit to a time feel free to stop by one of our stores as we accept walk-in appointments daily. We also repair screens and other issues on other Android device like Google Pixel, Sony Xperia, Asus, Samsung, LG, OnePlus, Huawei, Nexus & BlackBerry! Great service received. Another shop said it was beyond repair. They fixed a piece on the phone board and it works. saved me a nightmare with losing my data. people back up your phones! went to the south store they sent the phone to their motherboard room at their north store. I will leave both stores a review. Great service from the guy who helped me last week. Had some devices fixed around the house. We had our screen on our 5s done about 2 weeks before Christmas and we just got back our iPad that we dropped off on Saturday. It looks like it has never been repairs. My iPhone works great and they also fixed my daughters 5c as the battery was shot in it. I got a recommendation from the Rogers dealer on 130th ave they told me they send a lot of customers there. All in all I’m impressed with this local business. After apple told my wife that the 5c and iPad were to old to fix there option was about $1500 to replace both. We are done under $200 for both. I would highly recommend this store. It was easy to make an appointment online and I could get an appointment right away. Ryan was really helpful in explaining everything to me and my cracked screen and battery were fixed perfectly. I highly recommend this place. Great company. Seriously why even go to Apple. I’m assuming my story is repeated everyday. I have a iPhone 7 that there’s a known issue on the motherboard that stops the ear speaker and mic from working it’s greyed out. I thought I was the only one but a quick google reveals that it’s a massive issue that Apple won’t reconize as a fault in their design. They blamed me for dropping my iPhone. Well no damage to my phone and they couldn’t come up with any other reasons why. I tried sharing what I’ve read online but they refused to even consider that I’m not the only one. Anyway after telling me I need a need phone my coworker told me about her experience at this shop and said to call them. They’re on their game. Immediately they knew the issue and confirmed they get calls daily about it. Well they said they’ve repaired many and outlined the risk vs reward. I didn’t want to drop $500 on a new device so I hired iBroken to try and fix the issue on the motherboard. Dropped my phone off on Saturday and picked it up today. It works! Please always get a second opinion. Now I see why these guys have stellar reviews! Perfect service. Perfect repair. Perfect experience. I’m sure I will use them in the future but I’m the mean time I wanted to let anyone else know that if your iPhone 7 has this issue called audio ic failure please reach out to this company and give them a chance to fix it. Had an amazing experience here! I’ve never smiled so hard after getting a screen fixed before! They’re very professional, doing tests with you before and after getting the screen repaired, and explain to you what’s going on.So happy I chose ibroken!! Would highly highly recommend! Got my old Iphone 6 plus rear camera replaced here. Told it would take 1hour. There are many places to get your phone fixed in the area, but took it to iBroken because of the reviews. I went back in 40mins and it was done. Very professional and reasonable priced. Would highly recommend. After being no-showed by another highly rated company, in a last minute panic I chose iBroken that same day. They were good enough to stay after hours so I could retrieve my phone before the stat holiday. Have had no issues with replacement glass on the phone the past two weeks, works great. Did a good job of replacing the screen on my daughter's iPad mini. I booked online, dropped it off and they had it ready to go in a couple of days as promised. Works great, I'd use their services again for sure. Cost was about $150 which I thought was good value. Excellent service. More businesses should be run this way. The fellow told us over the phone that it wouldn’t be worth it to repair our iPad because of the generation it was and the way the manufacture their screens. He actually looked up Apple’s replacement program and suggested we go there instead. Great advise, I mean who does that? Thank you guys very much. I was in Calgary on business and my iPhone screen got shattered. I reached out to my IT department to find out what I should do and where I should go as I was getting shards of glass in my fingers. My IT manager told me that the Calgary head office uses iBroken for all the repairs. For a company to do business with our company I knew I was in good hands as we have strict guidelines with any business we deal with. It was actually a lot easier than I anticipated to get my repair completed. My IT manager booked a repair on their site and forwarded me the confirmation for my appointment. I received an email reminder and a text reminder before my appointment which was helpful. I was able to go in the same day of and got a whole new screen put on. It was a great experience dealing with Dave and great service all around. I reported back to my company and gave high praises for their find. I would highly recommend the overall experience to anyone! Due to how careless I can be when handling my iPhone 7 sometimes, I dropped and damaged My screen. Each time I had reason to fix my screen at some of the reputable repair shops, I experienced a total breakdown of communication for hours due to the delays resulting from the repair. Some other times, I am being requested to leave it for repair and pick it up the next day. This was not the case when I found iBroken. The last time I got my iPhone 7 screen damaged I was preparing for a trip to Montreal and couldn’t afford to miss my flight which was scheduled to take off in about 3 hours. In my state of worry, I searched online for the nearest/highest rated repair shop and voila! I found iBroken. I rushed there and frankly, that was the fastest cell phone screen repair I had ever seen. In about 15 – 20 minutes my phone was returned to me with a brand new screen. It was hassle-free. Surprisingly, I even paid far less than usual and the quality of the screen was top notch. I noticed a huge difference in the colours right away. They were extremely professional at their job and how they deal with customers. Also I must not fail to recall that they showcase great customer service and treated all their customers with great regards. Terrific! Will be recommending you guys to all my friends in Calgary. Thanks again iBroken for the convenient service you provided. I Enjoyed the whole process of getting my sons iPhone screen fixed. It was painless to get pricing and to book a fix. When I arrived for my appointment yesterday morning I was greeted by a professional gentleman. He went over what he was going to do and gave a time window for when the phone would be able to be picked up. It was done on time and charged up fully which was a nice touch. Gave me a cleaning cloth for the road to help my sons screen look pretty clean for at least one day. The gentleman also updated me with a battery wear information at no charge and told us we had sometime before it would need to be replaced. The store is easy to find and cozy and clean. I will be passing their card off to my boss as we have a cupboard of broken device that should be doing their job once again. If you live in Calgary and you have experienced the unpleasant pleasure of a broken device then look no further to this company. Thanks agin for your experience. I’ve been greeted in store a very fine manner way. Service has been provided exactly the way it was explained at start - IPhone concern. Even got a little « extra » not expected - and I was thrilled. All in all, I highly recommend this shop. Great group of men working here. They were able to diagnose and fix my iPhone within a hour. I find this industry very interesting. As a company called apple said there was no chance I could get it repaired but then a non affiliated company is able to repair a device they didn’t design. It goes to show a second opinion is worth it. Will save my time and money and return to ibroken in the future if I have any malfunctions with my iPhone. Got my iphones charging port fixed when I was told it wasn’t possible by another tech. I booked online showed up and they were waiting for me. Simple process. Cheaper pricing than 2 other shops I inquired and to boot they were only a block from my work. Was in and out in 45 mins and they even help me tell how much wear my battery had and what things I could do to extend life during the day. When my battery hits the dust I’ll be going back to these lads 100%. Great work fellas. I brought my phone in with a smashed screen and the good people at iBroken were able to replace it! The technician was very helpful, the service was quick, phone was done in under an hour. Everything on the phone works great, including the Touch ID feature! Definitely recommend this establishment. Unlike the review Said above I wasn’t bribed for a review or even asked. I highly doubt any reviews here are paid. They are truly an amazing group of guys with a level of customer service that’s hard to find today. iBroken was a breath of fresh air. They definitely were able to save me money as Apple said my iPad was not repairable and wanted me to hand them over $500 for a refurbished unit. Enjoyed the customer service and the follow up call and email they gave to let me know my iPad was ready. Had a mini-emergency with a UK iPhone that stopped working on a Sunday afternoon (a work phone). Couldn't get the SIM card to work in another iPhone. My stepdaughter's phone had a heavily damaged screen (holes near the Home button) and stopped responding following a call. The staff at iBroken were able to quickly replace the screen, fix an issue with an errant screw, and clean up some of the accumulated gunk. Fast service that included function testing before and after the repairs. Would highly recommend. Fantastic service- better than Apple actually especially if you’ve run out of your AppleCare plan or didn’t have one in the first place- way more economical with top class swift 100 percent satisfaction satisfaction guaranteed and very generous discount offers all the time for one thing or the other! You can’t possibly go wrong or regret coming to this place ever!! Thanks guys! My phone was run over in a parking lot so I took it to iBroken Canada where Michael completed the diagnostics within an hour and provided me with options for the repairs.Both cameras and the screen needed to be replaced and once given the go-ahead, Michael completed the work within the next hour. My broken iPhone now looks and works like new!I highly recommend iBroken Canada for your iPhone repairs and with the short turnaround there's no need to have your phone service moved to a new cell phone! The employees at iBroken were very friendly, professional and efficient. I would not hesitate to refer any of my friends or family to use thier services. With many options out there I feel that iBroken was the best choice! I acdentally cracked the screen on my iPhone 7 and was looking for a place to replace it quickly and at a great cost along with maintaining the quality of my phone. iBroken has fantastic service, everything was good to go within 2 hours, the service was excellent and the employees are very friendly and helpful! I didn’t feel pressured into anything and felt heard. Super helpful, would definitely come back in the future! Super great experience here. I was so choked shattering my new iPhone such a short time after buying it. I brought it here and the staff were very friendly and informative. They fixed my phone in under an hour and the price was very affordable. I paid for quality service. I would highly recommend this place. Thanks guys!!!! I thought I had bent my iPhone6 case, but didn't recall any traumatic event. The folks at iBroken suggested that my battery had "swelled" as it approached its end of life. Sure enough, that was the case and the swelling had separated the screen from the case, allowing potential dirt and moisture to enter. They quickly replaced the battery at reasonable cost. I'm very pleased with the service and results. Thanks! Quick, courteous and effortless! My iPhone 6Plus screen was smashed... Apple gave me the run around, and all I had to do is show up at iBroken - no appointment needed - handed my phone over to Michael for an hour while I ran errands. Done! Brand new screen 🙂 Thanks guys! This company was absolutely fantastic! Workers were very professional and answered all our questions without any doubts. Very well done and had our phone fixed on time. Cost for repairs were affordable and priced right. I would definitely return again, as well as recommend it to others who look to get their phone screens fixed and replaced. Went in last night to have my son's broken screen replaced. Service was done beautifully and professionally. They also have a great selection of accessories at great prices. Also purchased new cases for myself and my son. Excellent prices and outstanding service. They even installed the cases and protective glass for us :). I will definitely return to their shop for any needs for our iPhones & iPad.Very glad I found them! Customer service was outstanding! I found iBroken through the internet as I didn't want to go downtown and pay for parking on top of my phone repair charge at an alternate phone repair shop that I used to go which usually took half a day to a day to get repaired. I'm glad I found these guys. They were very friendly, the repair was fast for my drop-in (45min), the service was excellent and they went over and above what I was expecting. I would highly recommend iBroken if you need your iPhone or iPad repaired. Quick & easy booking. Arrived when promised. Professional & professionally addressed. Appropriately friendly, provided a minor technical review of the phone before handling to ensure it was something they could fix, provided extremely quick service and the screen now works as it should :). Extremely fair price. iBroken is by far the most professional business I've come across. As an Apple user I love that they specialize in Apple products. They have easily diagnosed issues that even the Apple Store said could not be repaired. They have only used the highest quality screens and I have never had to return for a product issue. Keep up the great work guys. I had service at your Chinook location and will never bring my devices anywhere else. Brought my out of warranty iPhone 5S in to inspect a loose a screen. Both staff members were excellent; quick + professional service. During the fix, they showed me the problem, inspected the battery, and suggested a fix. In less than 15 minutes, I was out the door with a back to normal iPhone. I was also on crutches - the staff opened the doors for me when they seen me coming. Good price (compared to Apple), great service, friendly staff - highly recommended. The name of the man who helped me was name Justin. He was very personable, helpful, and insightful when addressing my problems. Unlike other screen repairs I have done, he took the time to give my phone a diagnostic test to make sure there were no additional problems. The work was done within an hour and was good as new. I paid a couple bucks more than I did at a kiosk, but the professionalism and work done was well worth the price. I highly recommend this shop. The service was extremely fast and very reasonably priced, and the employees are friendly and knowledgeable. My phone is as good as new! Definitely give them a shot if you need an iPhone fix. I came in with my phone screen spidered, the bottom of it falling off (the screen, not the phone itself) and the home button gone. The phone was fixed and basically like new within two hours- I was taken aback by the speed and skill of what I had considered an "impossible" repair. Great value, too! Dave is such an awesome guy, very personable and interested in his customers. I am beyond impressed with ibroken and will absolutely be referring people there in the future. Thanks, Dave! My 6 plus iPhone screen was shattered, iBroken fixed it on the spot within 30 minutes, recommended a proper case and screen protector and then had me on my way. I'm glad that I got the Otterbox and screen protector because I've dropped my phone 3 times since and there are no cracks or anything. Very helpful guys, friendly and really wonderful experience. Definitely recommend them!!! The service I received at iBroken was OUTSTANDING on so many different levels. These gents put the customer first, and they look to solve your problem vs seeing you as a simple revenue opportunity.I cannot recommend the quality of their work and ethics highly enough.They are skilled in their craft and can be trusted to provide you with the best solution. They'll get all my business moving forward, and I'll recommend them to all my friends as well, without hesitation. Welcoming, relaxed and very knowledgeable, David and Russ were great. A tempermental screen issue appeared to be resolved when it was discovered a small part was missing. Free of charge they replaced it. Hooray! But later it became apparent that there was more to the problem, so I took it back, and they swiftly replaced the screen and home button and the phone's been great ever since. Total service. Recommended! Great service. I went in expecting to pay between $50-$80 to replace headphone jack component after it was dropped in water and placed in rice to dry off. The technician quickly and correctly determined that my inability to push the headphone jack in all the way due to a grain of rice wedged in the hole for the jack, and not water damage. He quickly removed it. When asked for the fee, he advised it was not required. I'm not sure I would have walked away with it being properly diagnosed and at no charge elsewhere. Great location and free parking, too. Thank you so much. The customer service and my overall experience was nothing short of exceptional. Both of these gentlemen not only provided the promised service in a timely manner, but went the extra mile for me personally. I broke the screen on my phone and had issues with the proximity sensor. The sensor problem was not a result of the replacement screen, or the replacement work completed. But regardless, the boys changed out the screen protector they provided initially (free of charge) as a 'just in case' and requested that I contact them shortly after to ensure there was no further complications. It turns out the damage to my phone was much more extensive than just my broken screen, and when I contacted them again to provide further details, they walked me through possible remedies for my phone even though it was out of their scope of services. This type of customer service is very rare. If you need a screen replacement or require any services that they provide, I would not look any further. These guys are absolutely great. I came in with a severely smashed iPhone 6 screen at 9:40 am and by 10:10 am my phone was fixed. Russ and David were incredibly helpful and knowledgeable with the products. When Russ was showing me the different types of screen protectors, he even went so far as to drop his iPhone *gasp* on the floor. His phone was fine and that made me confident in the quality of products they use. Their store is located in an easily accessible and convenient location with great parking. Oh and they have free wifi! So while Russ was fixing my poor phone I was able to work and check my emails from my laptop. I would highly recommend iBroken. Great guys and great service for very competitive prices! I hope I don't have to see them again any time soon, but should I smash my phone again (in due time I'm sure...)I'll be going back to them.